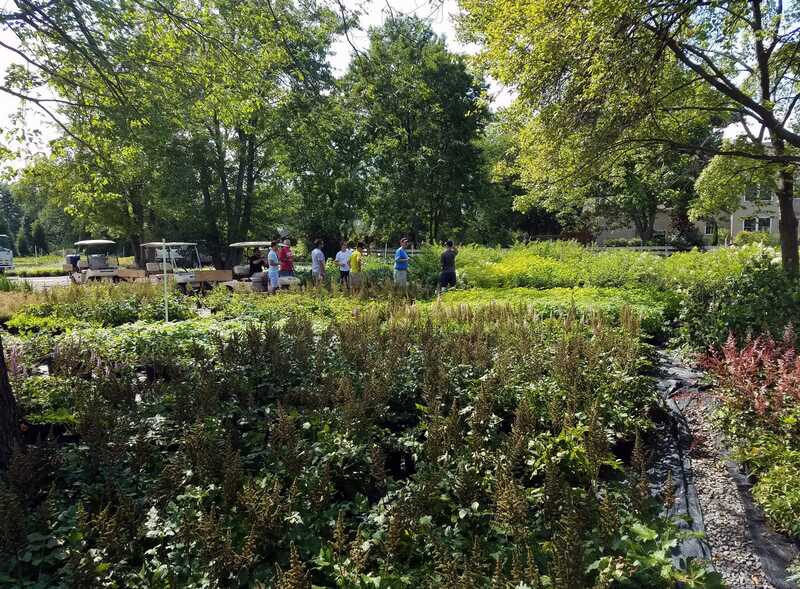 One of our annual traditions at Hess Landscape Architects is our company outing. In the past, we have gone deep sea fishing, fly fishing, and golfing to name a few. 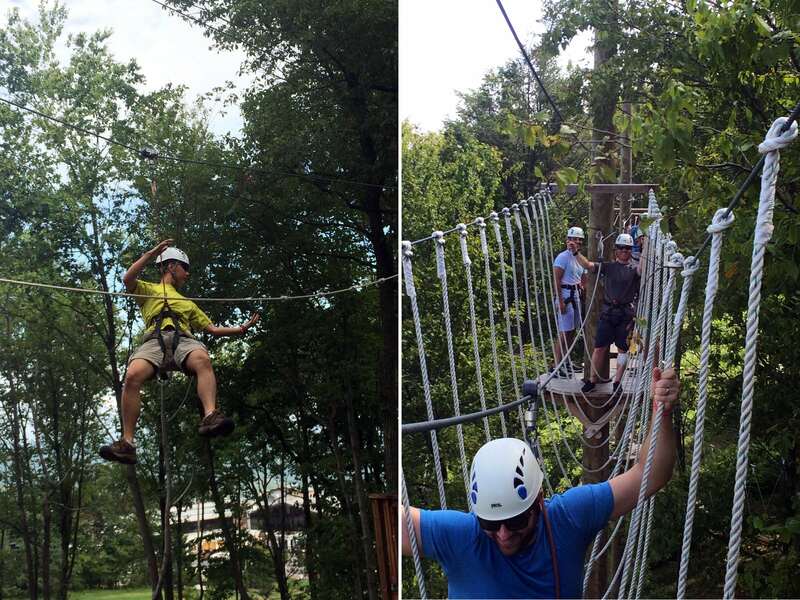 This year, after taking an office poll, we decided to take on the Blue Mountain Summit Aerial Park, a high ropes/zip line adventure, and then head to Clearview Nursery for a golf cart tour of their grounds. 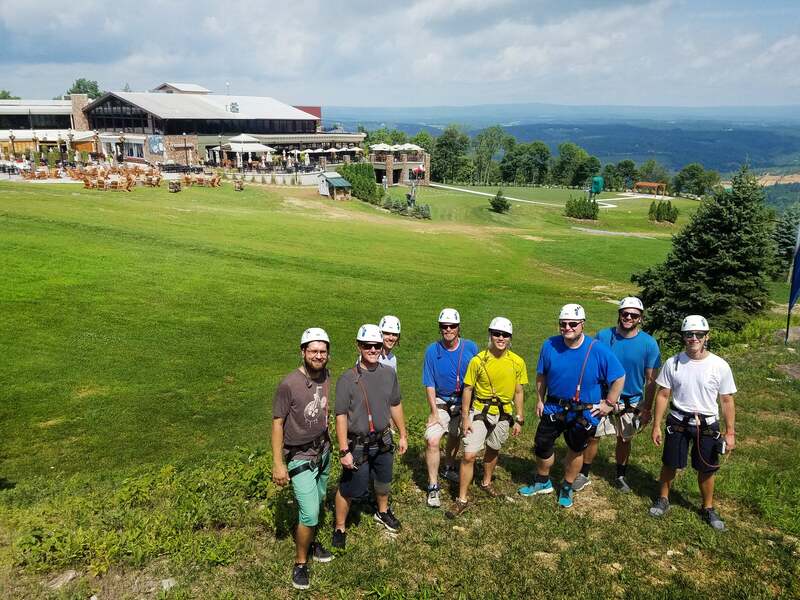 We want to thank the team at Blue Mountain Summit Aerial Park for helping us have a great time and, more importantly, keeping us safe. 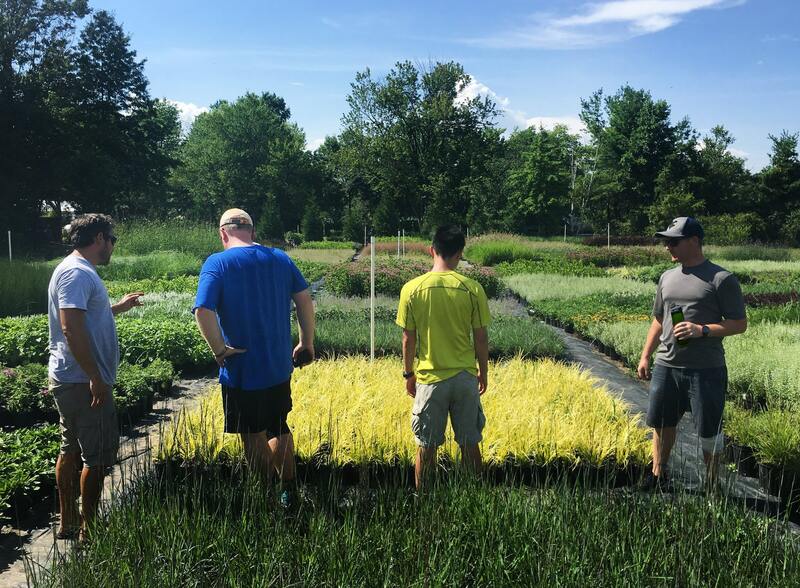 We also want to send out a huge “thank you” to our friends over at Clearview Nursery for educating us on their plantings and practices and, of course, for their unmatched hospitality. Below are some images of our adventure!